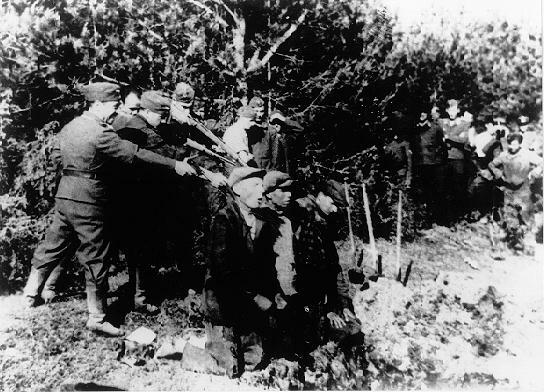 Four men with SS-Einsatzgruppe A execute four Jews in the vicinity of Kovno, Lithuania, as spectators look on. 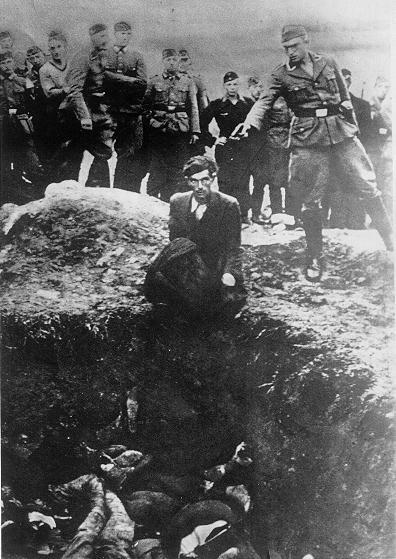 Below: German soldiers, along with members of the Waffen-SS and the Reich Labor Service look on as a man with SS-Einsatzgruppe D prepares to shoot a Ukrainian Jew kneeling before a mass grave. 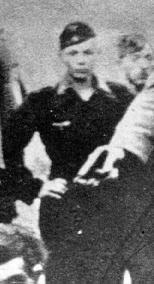 On Right: Detail of this photo shows a young member of the Reich Labor Service, a product of the Hitler Youth system, casually watching. 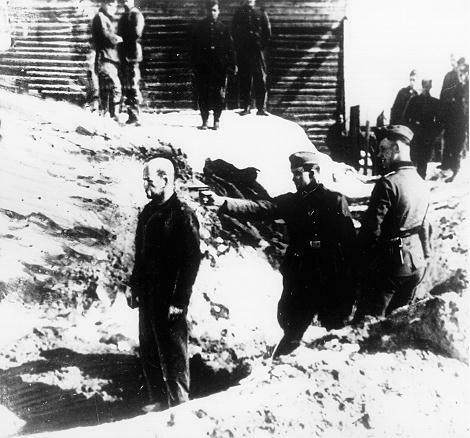 Below: A Soviet civilian about to be executed at Preili, Latvia.